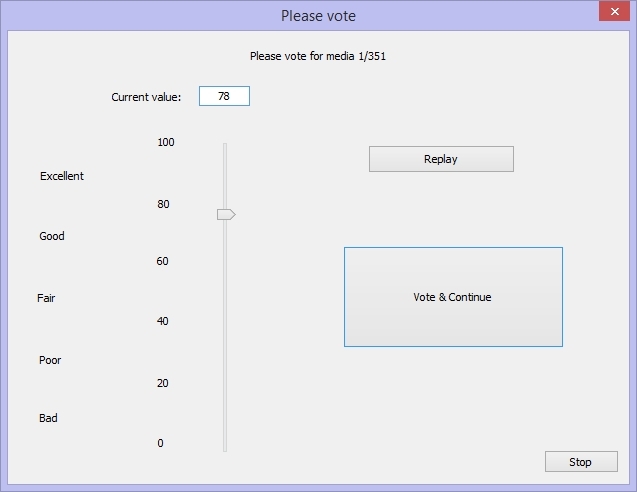 ACR / MUSHRA Test Interface is a useful tool to perform subjective audio and/or video quality testing. During MUSHRA tests, a human listener can compare up to 9 audio samples (for example: 1 reference version and up to 8 distorted versions). 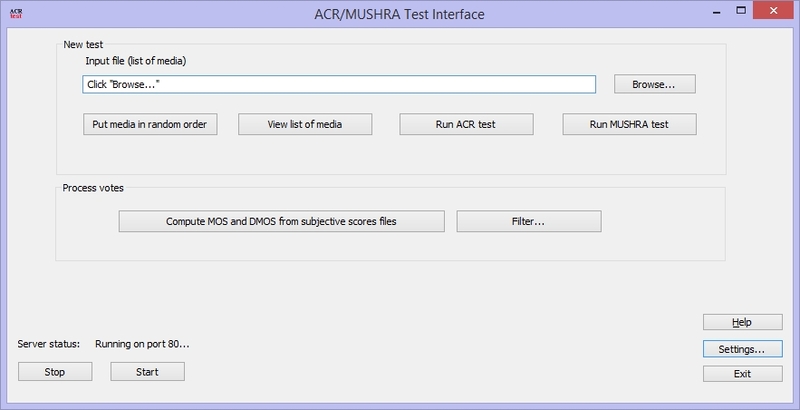 ACR / MUSHRA Test Interface enables to use the multimedia devices installed on your PC (like video rendering cards and audio rendering cards). ACR / MUSHRA Test Interface cuts cost of subjective testing: instead of using a dedicated hardware & software solution which is often expensive, ACR / MUSHRA Test Interface is a software only solution that enables you to use normal PCs. Note: A PC with RAID storage is advised to play uncompressed videos, especially for HD videos.